Customers want fast service or support from knowledgeable people where, when and how they prefer to receive it, based on results of a study the CMO Council published this month. Together with SAP Hybris, the CMO Council last year conducted an online survey of 2,000 respondents, equally divided between men and women. Fifty percent were in the United States, and 25 percent each resided in Canada and Europe. 8 percent wanted always-on automated services. 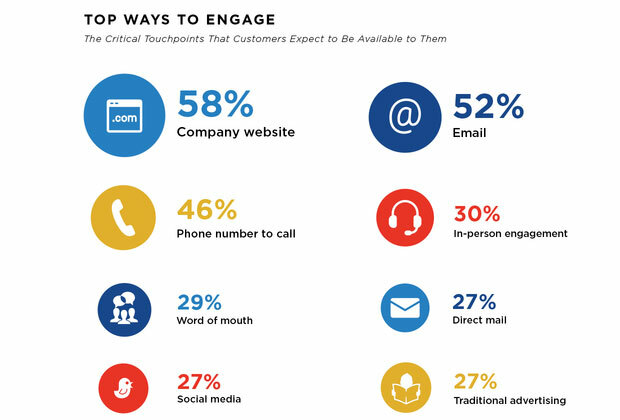 Consumers have a shortlist of critical channels they expect to have access to, the survey found, including the company&apos;s website, email, a phone number, and a knowledgeable person to speak with. "The mindsets of consumers -- whether B2B or B2C -- are shifting, said Liz Miller, SVP of marketing at the CMO Council. Marketers "have to start asking, &apos;Are we set up to be a responsive organization that looks at data, looks at analytics, understands what&apos;s coming in through CRM and is able to reflect that back through all touchpoints, including physical ones, quickly? Or are we simply waiting to react?&apos;" she told CRM Buyer. Read more about the survey results and analyst remarks on CRM Buyer.